Bridge+EXOS was created to unite best-in-class technology with a world-class training methodology to help you achieve your goals. Pairing advanced algorithms with thoughtful training, we’ve created the most customizable training tools across the industry. In 2017, we launched the Bridge+EXOS digital platform. Today, hundreds of practitioners are leveraging EXOS training, powered by Bridge. But just like you and your athletes, we sought out ways to progress and improve. As we continued to support you with the latest software, we also studied and questioned the ways in which coaches like you create plans. We found that even the most seasoned coaches spent an average of 88 minutes per 6 weeks of training. 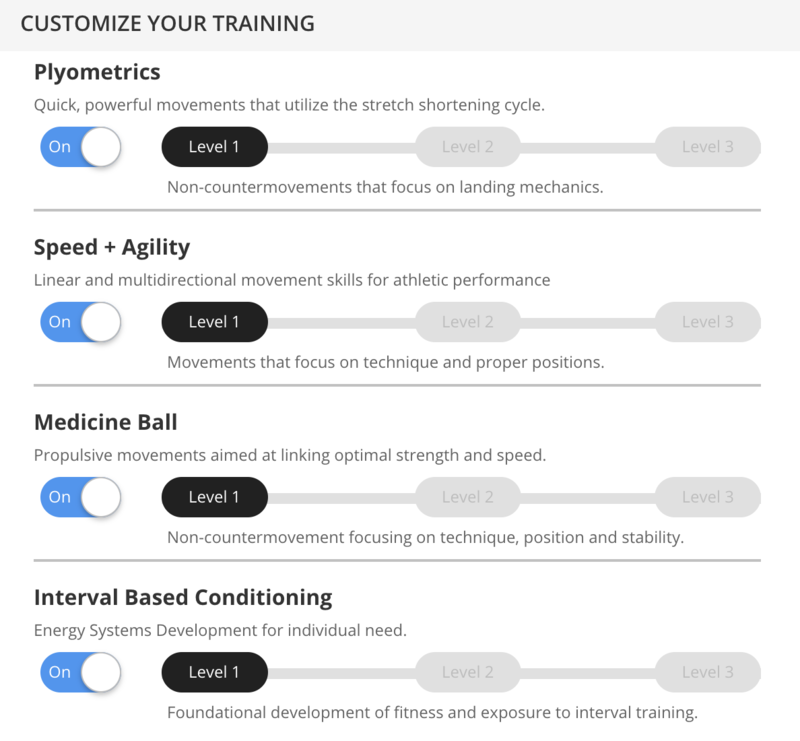 Keep reading to learn how we took your workflows and valuable feedback to develop the next generation of digital training, The Bridge+EXOS Training Engine. Before considering what new features would look like, or how our users would interact with a new environment, we first had to develop a deep understanding of who exactly those users are and how they build programs both on and off of digital platforms like Bridge. Training components (warm up, plyometrics, medicine ball, strength and power, conditioning and recovery) that were most commonly used. 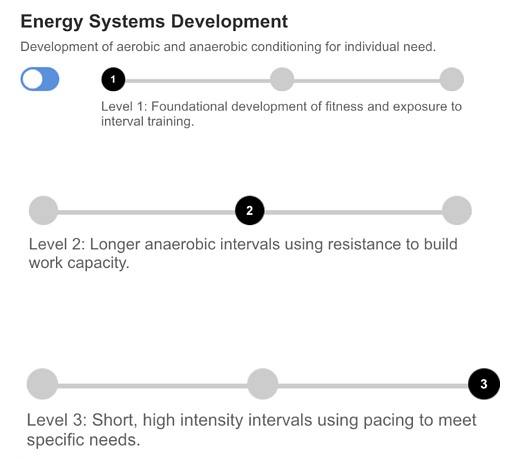 “Trainers and coaches who are using the EXOS Methodology as their guiding principle for programming will recognize the consistency in the programming output with what they have learned through the EXOS education program. On the flip side, those who haven’t taken an EXOS course will start to learn the decision making used to move from phase to phase or how to progress in other training components with an organized logic.” - Cody Carter, EXOS Performance Innovation Manager. Next up: Prototyping. We gathered feedback and created a wireframe, or rapid prototype, to test our assumptions. Once that was crafted, we placed our designs in the hands of actual trainers, allowing them to consider the training variables and workflows and to give feedback at every stage of the new workflow. Our participants ranged in age, tech competence, geographic location, organization type and skill set. We tested our population three times to make sure the content would be suitable for a wide array of practitioners. Participants were tested on the overall perception of the Engine, taking into account: Safety, Utility, Efficiency, Ease of Use and Satisfaction. Overall perception across each theme well exceeded average (1-10 scale), indicating we were ready to take it to our community of practitioners. Wire frame of ESD work from the Engine Pilot. Wire frame of Training Level from the Engine Pilot. Think about your client. What do they need to reach their goal? Where are they starting from? 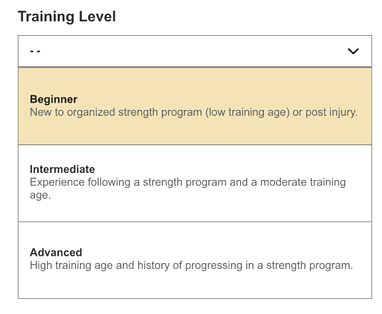 Are they a Beginner, an Intermediate or an Advanced athlete? 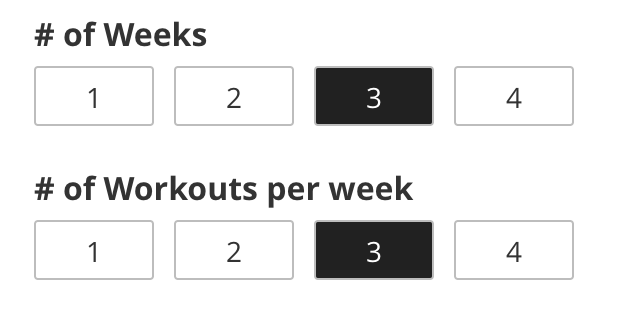 This section will dictate exercise selection for the next option: your training ‘theme’ based off of your initial intake evaluations and pre-determined goals. Foundation - This theme is a great starting point for any client especially if they are new to an organized program that will follow progressions. Going back to basics can set your client on a path to reach their goal. General Prep - Use this theme to builds on training capacity and volume as it maintains an emphasis on bilateral movements. Hypertrophy - If the client goal is is to increase functional muscle mass, this is the next phase after a solid framework has been set. The days split up into upper and lower. Metabolic Conditioning - Sometimes novelty and a desire to increase work capacity is appropriate for a veteran in a strength program. This phase will offer just that. 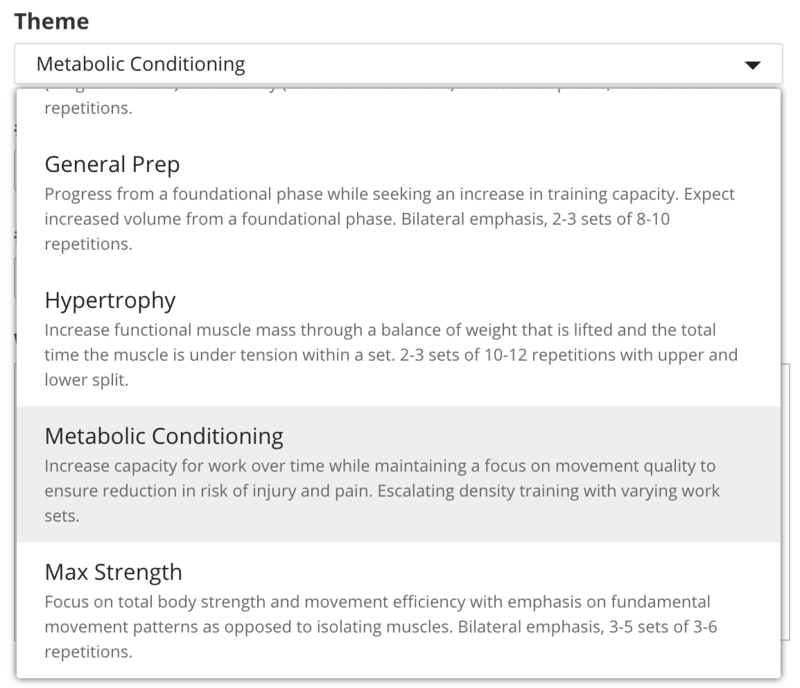 Max Strength - While this may be self explanatory, this theme will still follow the EXOS Education framework of ‘movements before muscle’ by using a total body approach to the training design. Choose how many weeks they should work through that one ‘theme’ or Phase. Although this seems like a logical selection in the training engine, this type of selection allows the trainer to easily map out what 3 months might look like. Will access to equipment be a factor? The engine will craft programs with the right equipment for your client. Workout time is correlated with engagement. How long can a session realistically be before your client starts skipping work? Timing selections were carefully calculated by talking to trainers and also observing the durations their athletes are looking for to stay engaged with a program. Adaptable Training: How competent are they across different types of work? We found that someone who has been working out for a long time but has spent some time off will need to ease back into plyometrics even though they are advanced. So, giving the trainer the ability to start someone at different levels with the customization was a critical feature in the builder. Together, we hope to empower both new trainers and old. We hope to support both those comfortable with remote or digital training and those just getting their feet wet. We hope this will embolden practitioners of any kind to more effectively deliver strong, impactful plans to any athlete.